Trey forgot an entire verse. Reba did not have the whistling ending. Scents did not have the intro. Piper featured a substantial Tweezer Reprise jam. Jibboo was unfinished. Trey forgot an entire verse of Cavern. Cavern contained a Purple Haze tease. Phish fans with delicate constitutions are well served just skipping the August '04 shows; this'll do for a final act if you like. 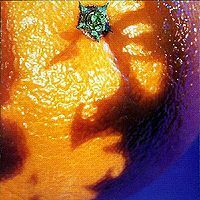 The second set is an hour-and-a-half grand finale; between the Tweeprise jam in Piper, that unexpected pop-the-top climax to LxL, and a richly-deserved valediction in Velvet Sea, there wasn't much to say after this one. And that's without mentioning the thermonuclear hourlong sequence that ends Set One, or the wonderfully overextended Ocean to open Set Two. This show isn't to everyone's taste, but if you're already a fan it plays like the kicker ending to a yearlong joke - check out that self-deprecating Purple Haze tease, for god's sake. The rest of June '04 is strong, of course, but to my ears this is the hammer blow. Anyone whose opinions on this show are overly negative would be best served by putting on a pair of headphones and just drowning out everything except for the glorious music thats being hosed directly into your brain. Sometimes you just have to suckle that hose & close your eyes. The Walls & ASIHTOS alone have enough spellbinding improvisation that they'd be highlights of 3.0 if you could somehow bend time and slip them into a random show from the past few years. 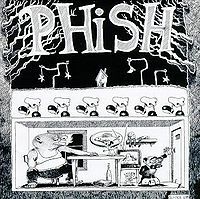 Like the Coventry SOAMelt & so many other amazing moments where everything clicked in the 2.0 era, I think it is our duty as Phish fans to never forget the sacrifices made at the feet of the Bullgod Hoseous. I recently stumbled across a thread a discussing the best constructed set or show ones seen. I Immediately thought of that Saturday night at SPAC in 2004. Now, never before have I written a review for .net as I’m usually trying to capture the show through my photos. So I thought I’d share my response and experience from 12 years ago. Strong JIM, NICU in the 2+3 slot. The show then started to blast itself into the legendary status it's become. SASS - Scents gave way to utter bliss before finding the Swampy marshes of Wolfman's Brother. WOLFMAN”S - Remember Wolfman's in 2.0? They were all amazing. WALLS - The Highlight of the first set undoubtably came in the second quarter. 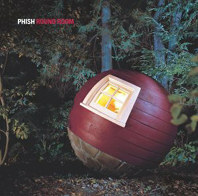 Phish absolutely tore through the composed section of Walls before sailing into sonic ambience that resembled the type of jamming that came out of the IT Waves. 20 Minute ride later Fishman's Hi hat became audible. Signaling BOWIE. Really no better way to end a set. 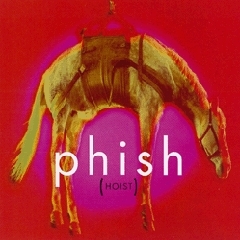 ASIHTOS - Now it's really really hard for me to pick a single favorite Phish jam. Basically it changes everyday. That being said If I was stranded on a desert Island with only 5 jams on an iPod. SPAC ASIHTOS would absolutely be one of them. This jam really is THAT good. Doesn't sound like any other jam from any other era. Completely Original. PIPER - It's kinda baffling to think all that happened before the opening notes of the Greatest Piper of all time even started (IMO of course). I'll never forget standing at the top of the lawn in amazement with thousands of glow sticks flying over head. The Complexity and fluid movement of this Piper jam are what set it apart. Oh yeah.. And that unrelenting massive Tweezer Reprise peak. The most impressive part of this Piper came as the jam was winding down. Or was it? After 28 minutes of mind bending improvisation where in the hell does a band go from there? Mike Gordon knew exactly where this ship was headed as he convinced his bandmates to hop aboard. From the darkest of darks to a sublime peak, somehow we now found ourselves in a funk jam that ever so smoothly slid into Gotta Jibboo. What In the F%^& just happened!?! How the heck did we get here? Please.. Has anyone seen my brain? LIMB BY LIMB: Ok thanks Phish. You gave me all of about 30 seconds to gather myself before further blowing what was left of my brain. A truly fantastic Limb with a soaring peak that still holds up with the greats. CAVERN - Limb crashed into Cavern and while Trey's immortality was palpable all night, messing up the lyrics to cavern really isn't anything new. Great way to end the set. WADING - I’ll always look at an encore as a bonus and really nothing more. Whatever they do or don’t play won’t have much if any impact on the show. While Velvet Sea wouldn’t of been my first choice, I certainly wasn’t going to be the one to argue after a show like that. Looking back: It certainly was a puzzling time. Possibly due my youth, I was somehow able to brush off the fact Phish was calling it quits helping to enjoy every (last) experience to it’s fullest. I am so grateful though for how far we’ve all come. Truly a great time to be a Phish fan. I wont comment on the mood and type of energy that was present at the time. Everyone has different things to say about that. However, it was an absolutely gorgeous summer day, and night. Great open to a standard first set. This show will be remembered for Piper. 32 minutes on the board with multiple teases and directions. But for me the most beautiful music made in this show was during the end of Walls>Bowie. 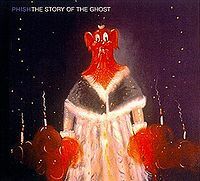 If you listen to Walls the end contains about 4 minutes of an ambient H2 style jam that really is beautiful and one of those examples of music only Phish can create. During glowsticks in Piper my friend pointed up to the stars to show me the big dipper, which rested right above and was "pouring" directly into the amphitheater. It will always be a very special day to me, despite anything negative many would say about this show. Set 1 - The composed section of Reba is a bit of a hot mess, but the jam kicks in and things improve. The set then builds momentum as it goes along. Jim>NICU>S3 are solid and pave the way for a very strong Wolfman's. But it's WotC that takes this show to the next level, and at the 13 minute mark begins coloring way outside of the lines. The ->Bowie is just icing on the Set 1 cake. Set 2 - When V2 was on fire, they could burn white hot. And so it goes with this outstanding second set. Everything following halftime could be accurately described as essential Phish and should be in your regular rotation! A stellar Ocean and LxL join a ridiculous Piper to make for one of the best Phish sets ever. Even the phlubbed Cavern is a compelling closer, with its Purple Haze overtones. This show is an all timer from any era. Don't let the year fool you. Reba for sure sets the tone as an extremely bizarre set 1 opener. It's fairly straightforward, but it's Reba! The Jim that proceeds is also fairly straight forward. Wolfman gets really funky and is strong for a compact jam. Walls of the Cave is an all time version that is peaky as hell as well as blissfully experimental. Bowie is also very strong. SITHOS kicks things off and goes off into the unknown quickly. 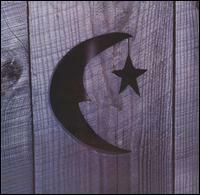 Mike and Trey link up and it drifts into heavy bliss then pulses and builds with heavy tension. I won't go on to long about Piper, but it is likely the very best Piper EVER played. It starts with a nice Mike led groove and as trey picks around it gradually levitates to a different world. And then to so many peaks within a peak that it is utterly outrages. The segue into Jibboo is near buttery perfection. Limb By Limb is also a top shelf version just absolutely beautiful. Cavern is well cavern? Wading is always a great encore choice and is well played. What makes this show so perfect? The Setlist? Epic Jams? Amazing Segues? Great playing? Holy crap! Heard ASHITOS, Walls Of The Cave and Piper on the Oxy Years compilation and had to check this out. I've only listened to the second set, but just wanted to express how intense of a show this is! Reminds me a lot of Doom Trilogy era Neil Young. I know this ain't the most articulate or in-depth review, but I just wanted to get this out so others can be steered towards this one. If you listen to nothing else from this show, check out that Piper. You won't be disappointed. Fishman is just so psychotically ON for the whole show! I was second row, DFC, for the first set of this show (thanks PTBM!). Reba opener was fun. 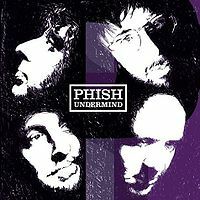 Check out A Song I Heard the Ocean Sing > Piper - a show highlight for sure; maybe one of the best moments of 2004 phish??? Just to comment on the Piper -> Jiboo that was included with Live Bait 12. My memory of Summer '04 is a bit mixed with the impending news and the uneven Alpine show I saw that summer, but this 40+ minute chunk is a thing of beauty. The "->" designation is truly deserved as a segue when Piper finally gives into the Jiboo rhythm and key. Sounds like the ASIHTOS is a burner too, curious why that didn't include that on LB 12. Downloaded this SB yesterday and gave it my first ever listen. What a show! I certainly had not heard much from 2004 but I'm glad I took a chance based on the stellar .Net reviews. Fishman absolutely slays it this whole show, but particularly on the set 2 opening ASIHTOS, Piper. That Piper will certainly stay in heavy rotation on my iPod. If you have not heard this one yet, do get the SB. This show was my first of many magical visits to SPAC. My wife and I randomly found my friend Uday on the lawn right as the show was opening. The Reba opener was unexpected and awesome. Apparently Trey broke a string during this song and you would never know by listening. It was a very tight version considering that they weren't even warmed up yet. Runaway Jim and NICU were standard good. Scents and Subtle Sounds was the first of two Undermind songs of the evening. It floats in at a little over 12 minutes. The jam in Wolfman's Brother brings the mid-first set to a delicious peak. The Walls of the Cave that follows is the first of three mega-jams of the night, clocking in at over twenty minutes. This type-II beauty finally feeds into a nasty Bowie to close Set 1. I have been lucky enough to see some of the best versions of A Song I Heard the Ocean Sing in my travels, and this one is top two for sure. This was the second of the three monster songs that came from this show, finishing at just a hair under twenty minutes before merging into THE monster jam of the night. This 32 minute Piper is something to behold and is a strong contender for jam of 2.0. By the time this Piper was over, most the people around me were mopping up their faces from the lawn after the forty minutes of nonstop Phish madness that had just ensued. Gotta Jibboo, in a good way, brought reality back to some off us that had just resurfaced out of the maelstrom that was ASIHTOS>Piper. Limb By Limb reached an epic peak in its own right to put a final stamp on the legendary second set. The Cavern, like almost every Cavern in 2.0, was botched by Trey, but was fun regardless. Purple Haze was teased as an attempt by Trey to say, "Mea Culpa, I just melted your faces all night. Let it go." Wading in the Velvet Sea was a quiet ending for a night of crazy, type-II jamming that put a defining stamp of what 2.0 Phish was all about. This show is an instant classic and should be heard in its entirety at least once. If not, focus on the Reba, Walls, ASIHTOS>Piper. Reba is an interesting opener (maybe last opened a show on 7/6/00 Toronto?) and ekes along beautifully as Rebas are wont to do. Runaway Jim sustains the energy, but the next big song, Scents and Subtle Sounds, isn't that long, and doesn't compare so much to the Walls of the Cave that stretches 20 minutes and segues into David Bowie. Walls of the Cave boasts a Mike-led ambient jam that is very satisfying. In the second set, A Song I Heard the Ocean Sing approaches 20 minutes, but just kind of treads the typical 2.0 water. 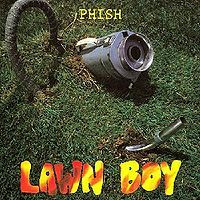 The Piper to follow, however, features a long segment of patient improvisation approaching hose levels, especially towards the end when Trey really lets loose. The segue into Gotta Jibboo is also notable. Limb By Limb keeps up the energy > Cavern, and then there's a poignant "2.0" encore of Wading in the Velvet Sea. This is really a representative show of Phish 2.0, if such a claim is tenable, in that it displays some of the characteristic jamming of the time period, and a few of the jams are given quite enough room to breathe.